Famed natural beauty, a high standard of living, and proximity to well-known tax havens such as France and Switzerland have all made the Netherlands a popular destination for travelers and business interests of all types. Of course, the Netherlands is also recognized as an enormously significant tax haven in its own right. In fact, it was named the biggest tax haven for Fortune 500 companies in a 2014 report by Citizens for Tax Justice and the Public Interest Research Group titled Offshore Shell Games, serving as home to nearly 50% of all Fortune 500 limited companies. While its status as a tax haven has made the Netherlands appealing to many investors, entrepreneurs, and private citizens, it has also attracted intense scrutiny from investigative agencies like the Internal Revenue Service and the Department of Justice. Financial institutions in the Netherlands are investigated aggressively to help ensure compliance with US tax laws — and so are the expatriates who reside there. If you’re worried about an issue with your taxes, such as unfiled returns or undisclosed foreign income, it’s critically important to consult with an experienced Certified Public Accountant. CPA Ted Kleinman specializes in international tax matters and has more than 30 years of experience helping American expatriates minimize their liabilities, maximize their deductions, file accurate paperwork, and negotiate with the IRS. To arrange for a confidential consultation, call US Tax Help at (541) 923-0903 today. 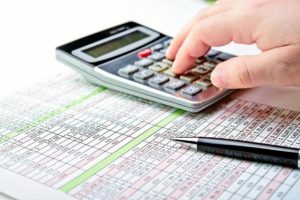 What Are the FBAR Filing Requirements? 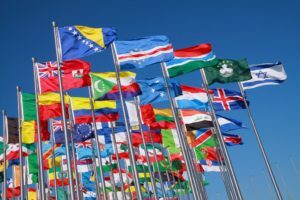 The United States is highly unique — and also highly vigilant — in its taxation of nonresident citizens’ worldwide income. As a US person living or working in the Netherlands, you are still required to report your income and assets to the federal government, despite your residence abroad. Many have questioned whether the IRS and DOJ are overstepping their bounds in this rigorous international enforcement of US tax law; but until new legislation develops, the fact remains that American expatriates must report their global income. You are a US person with either (1) signature authority over or (2) financial interest in any overseas financial account. The aggregate value of your foreign financial accounts surpassed $10,000 at any time during the year to be reported. In the past, it was possible to file FBAR on paper. However, the IRS has updated its filing guidelines, and all submissions must now be made online via FinCEN Report 114, which is part of the BSA E-Filing System. In addition to filing an FBAR, you may also be required to file Form 8938 (Statement of Specified Foreign Financial Assets), as well as Form 8854 (Initial and Annual Expatriation Statement) if you decide to expatriate. CPA Ted Kleinman will walk you through which reporting requirements apply specifically to you. Unfortunately for non-compliant taxpayers, the idea that the IRS is simply too preoccupied investigating “bigger fish” has become less and less accurate with the advent of increasingly powerful technology. In recent years the IRS has adopted E-Trak software to better identify instances of tax fraud, and reports a sobering average of 3,000 prosecutions per year. Hoping that your case goes undetected is simply not an effective strategy. You need to be proactive and take action to correct the situation before you find yourself at the center of a criminal investigation. 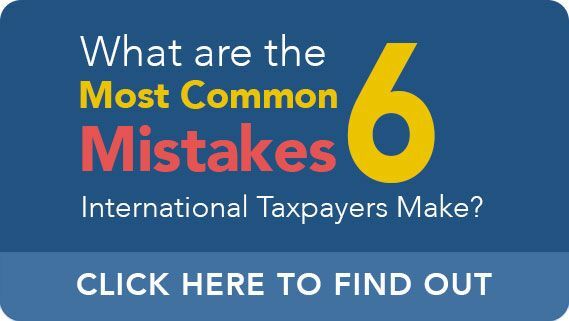 Fortunately, you may be able to participate in a the IRS Streamlined Offshore Procedure and may be able to limit your exposure to civil penalties, and even more importantly, avoid criminal prosecution. However, time is of the essence. You will be prohibited from joining the the Streamlined Program if a criminal or civil investigation has already begun. What does this mean for you? If you’re worried that the IRS may target you for investigation, you need to take the first steps toward making a safe disclosure today. To set up your confidential appointment, call US Tax Help right away at (541) 923-0903.